Phylogeny is defined as the study of evolutionary history across a group of species. In other words, if you want to study the evolution of mammals, you can use phylogeny to trace the evolutionary path. To properly examine the evolution of species, biologists, such as evolutionists and phylogeneticists, use phylogenetic trees. So what is a phylogenetic tree exactly? A phylogenetic tree helps to illustrate the pattern of relatedness of different groups of species. Relatedness is when you take into account similarities in basic, physical structure between similar organisms. You can also take into account similarities in the amino acid sequence, DNA and proteins. An example for physical structure is if you were to examine the forelimbs (skeletal structure) of human beings, bats and cats, you can see similarities in the bone structure of each. Somewhere in all of these organisms’ evolutionary past, they share a common ancestor. This is what we call common ancestry. How Do You Read a Phylogenetic Tree? The next thing you need to know is how to interpret (or read) a phylogenetic tree. Take a look at this phylogenetic tree. Look toward the bottom of the tree, where the line goes downward. This represents a common ancestor to all of life forms. 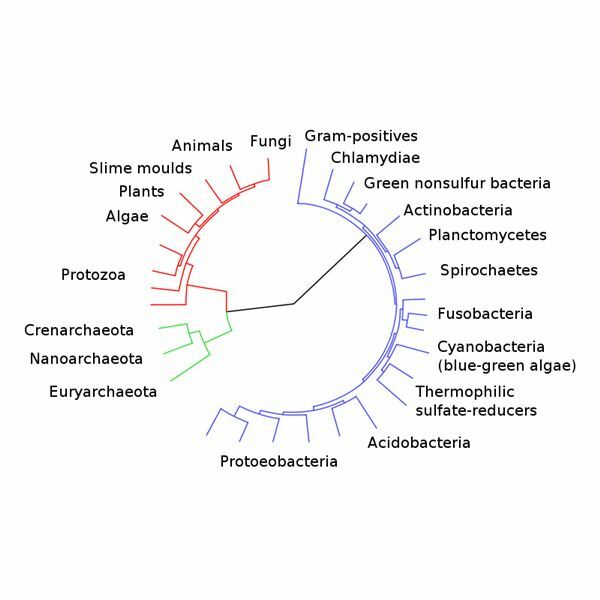 In other words, every life form on the tree comes from this common ancestor. Now take a look at the Shark. It has branched off earlier than the Tuna, Frog, etc. This means the Shark evolved earlier in history as opposed to the Tuna and the Frog. At the same time, the Shark and the Tuna, for example, are closest to one another on the tree, which means they have a more recent common ancestor. This is in opposition to the Shark and the Crocodile because they are physically farther apart on the tree, or have a less recent common ancestor. Biologists can classify groups of species within the tree. There are three, basic groupings within phylogenetic trees. The first group is called a monophyletic group, which is a smaller group within the tree which all have the same common ancestor. 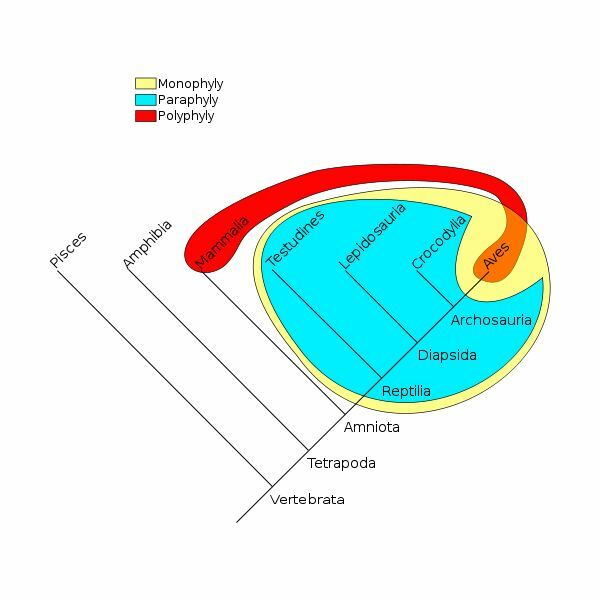 The second group is called a paraphyletic group, which is a smaller group within the tree that contains select groups related to the common ancestor. The last group is called a polyphyletic group, which is related descendants to one another, but do not have to include the common ancestor to both. 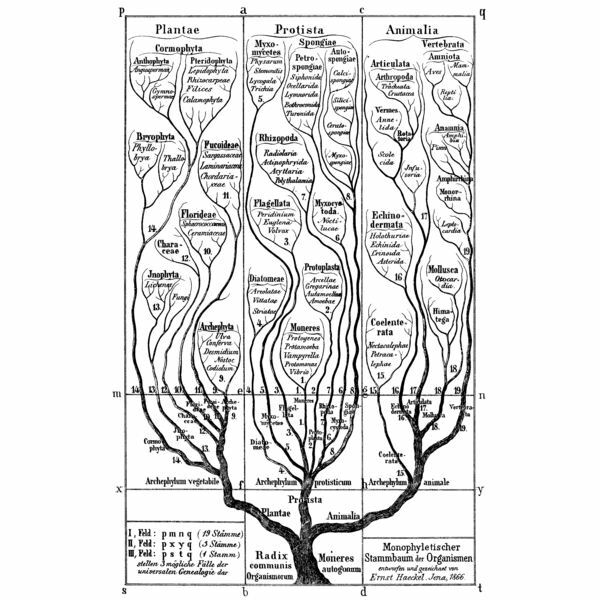 As you can see, phylogeny trees help biologists understand evolution and how species are related to one another. Now that you know the answer to what is a phylogenetic tree, you can study common ancestry and begin to understand the process of evolution. Johnson & Raven. Biology: Fifth Edition. McGraw-Hill: 1999, New York.